In a large bowl, mix together tomatoes, cucumber, green onion, cilantro, and garlic and season to taste with kosher salt. Pit and cube the avocado, carefully deseed jalapenos and dice. Mix together with tilapia and lime juice. Let rest in the fridge for 45 minutes. 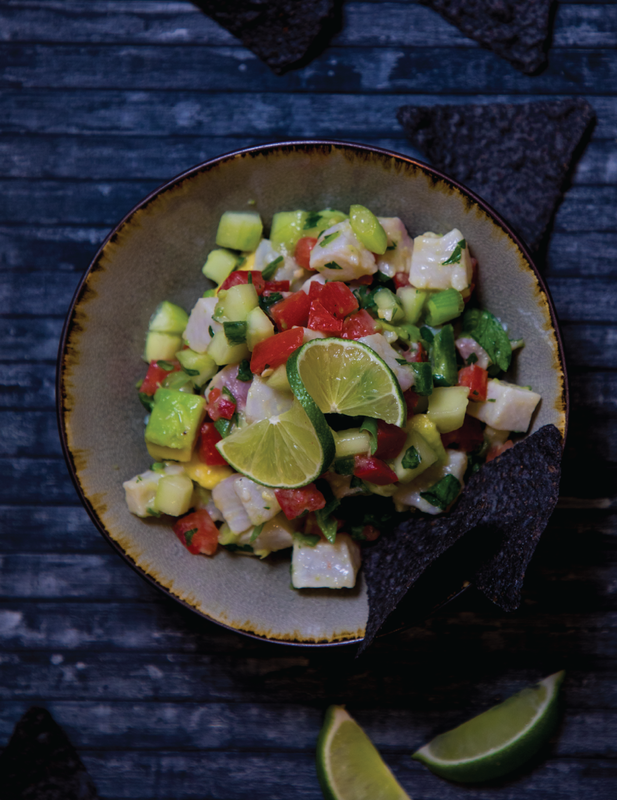 Serve with blue corn tortilla chips or fresh tortilla wraps for the perfect appetizer!